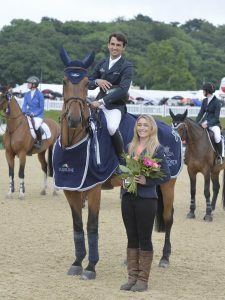 Yorkshireman Ben Raistrick launched the Bolesworth CSI **** International in winning fashion with a stylish victory as a packed Thursday schedule got under way. Riding the consistently-successful Top Limit, Rastrick triumphed in the CSI Am-A two-phase class, sponsored by Halsall Electrical, making light work of a testing International Arena course. Their time of 36.69 seconds proved more than a second clear of runner-up Ashlee Harrison with Beaufort III, while Kerstin Deakin and Sunsolde took third place. “It was a really good start for me,” Raistrick said. “He jumped really well. Everything flowed and was smooth. “He has been there and done it previously, and he has done it again today. I have been riding him for the past year, and had good results at two-star level. He’s a proper horse. The two-phase CSI Am-B class, sponsored by Aggreko, went to Julie Slade from Kent and the eight-year-old chestnut gelding Billy Gogo, owned by The Billy Stud. They set a scorching pace in the two-phase class, posting a time of 27.40 seconds, and it proved way too quick for the rest, finishing more than five seconds clear of Belgium’s Bruno Goyens de Heusch, riding Corella F, with Camila Bingham and Wembley in third. “I had a plan when I went in there, and it all just came off,” Slade said. “I was quite early to go, so I didn’t quite know how quick the time would be, but everything came off. “I’ve had him for a couple of years. He won three classes in Spain recently, and he is always in the prizes. Action also began in Bolesworth’s all-weather Castle Arena with a two-phase two-star opener, sponsored by John Deere, and it was Great Britain’s Mark Armstrong who came out on top aboard Balougio III, clocking a time of 23.97 seconds for victory from second-placed Paul Barker (Sandors Legacy) and Irish challenger Kenneth Graham (Lenamore Lucy Lou) third. 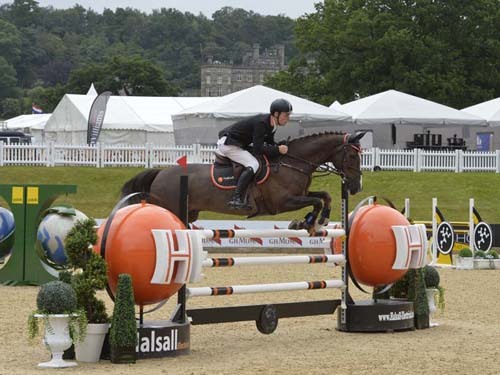 Showjumper Matt Sampson and National Hunt rider Nick Scholfield proved an irresistible double act as they powered to victory in the Bolesworth CSI **** International Jockey Challenge. The fast-moving partnership triumphed by more than six seconds in the relay-format event, with Sampson setting a scorching pace before Scholfield – fresh from competing at Uttoxeter races on Wednesday evening – finished the job in style. Their time of 51.39 seconds was more than six seconds clear of runners-up Victoria Gulliksen and Nico de Boinville, last year’s Cheltenham Gold Cup-winning jockey and who rode Sprinter Sacre to an unforgettable Cheltenham Queen Mother Champion Chase victory in March, while Johan-Sebastian Gulliksen and Ryan Hatch took third. “It was good to be partnering Nick,” Sampson said. “We have known each for ages, but we hadn’t seen each other for a long time. Sampson also praised the atmosphere in Bolesworth’s International Arena on the show’s opening morning, with the winners being roared home. Other jockeys who took part were Will Biddick, Robbie Dunne, Ian Popham, Brendan Powell and Rhys Flint. 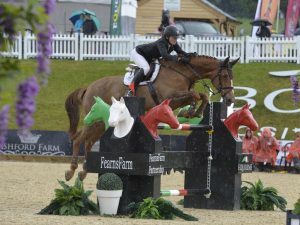 Irish eyes were smiling at Bolesworth CSI **** International on Thursday when Marion Hughes won the four-star speed class, sponsored by NFU Mutual. A bumper field entered the early afternoon feature class, and Hughes showed all her experience to guide Heritage HHS Fortuna hope in a time of 63.93 seconds. Britain’s Keith Shore, riding Zegreanne Z, led the chasing pack in second spot with a time of 64.16, and third went to another British rider – Douglas Duffin – on Chiquito Z. “I was hoping that I would hold out for the whole class because there were a good few fast ones to go after me,” Hughes said. “My mare is very fast. I didn’t do the inside routes – I just decided to keep nice and flowing, and I think it paid off. “The ground is super. 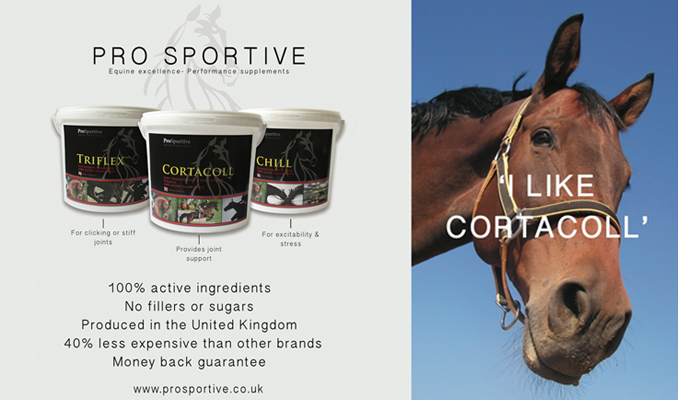 Conditions are perfect – the warm-up is perfect – and the jumping is great. Nobody can complain. 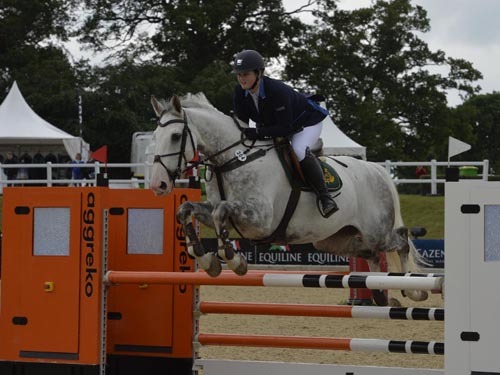 Dutch showjumper Stefanie van den Brink, meanwhile, had a Bolesworth debut to savour when she landed the four-star opener – a two-phase competition sponsored by Harthill Stud. And Bolesworth’s international appeal was highlighted by the fact that the first five riders represented five different countries – Holland, Egypt, Ireland, Britain and Belgium. Riding Merida 8, van den Brink’s time of 24.49 seconds proved just enough to edge out Egypt’s Karim Elzoghby and Colour Girl, with Irish challenger Dermott Lennon (Fleur IV) third, Britain’s Harriett Nuttall (Silver Lift) fourth and Belgium’s Francois Mathy Jr (Falco van der Clehoeve) taking fifth. Reflecting on her win, van den Brink said: “I followed my own plan, and it worked out well. We didn’t expect to win, but he went really well. Brazilian Marlon Modolo Zanotelli started where he left off 12 months ago by being a winner at the Bolesworth CSI **** International on Thursday. 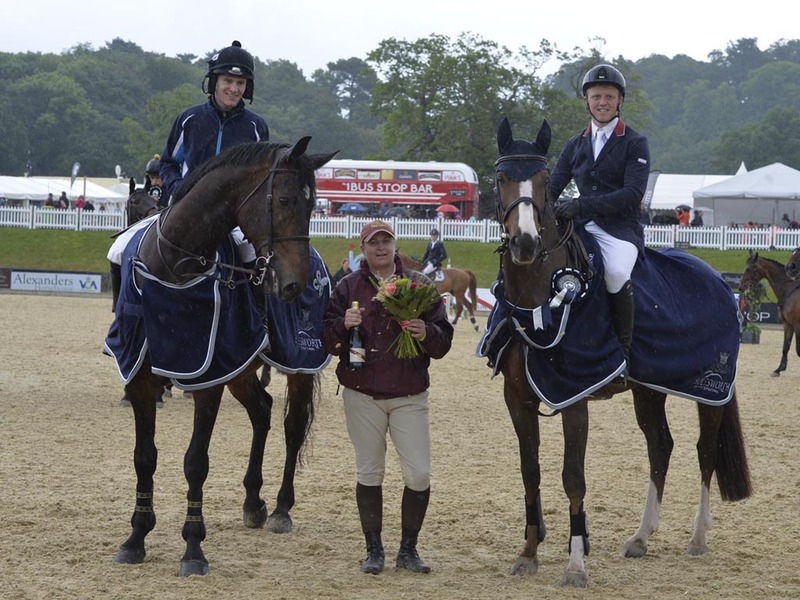 Zanotelli, who won more classes than any other rider during Bolesworth’s 2015 event, took the four-star, two-phase class, sponsored by Equiline/Fearns Farm Partnership, on Rock ‘n Roll Semilly, landing a top prize of £6,400. And in doing so, he underlined the rich potential that could easily be converted into an appearance at a home Olympics in Rio later this summer. “The team looks good – Brazil has some good horses,” Zanotelli said. “I would say we have about seven riders with a chance of making selection, and they all look good. It is a good group together, and everyone is motivated. 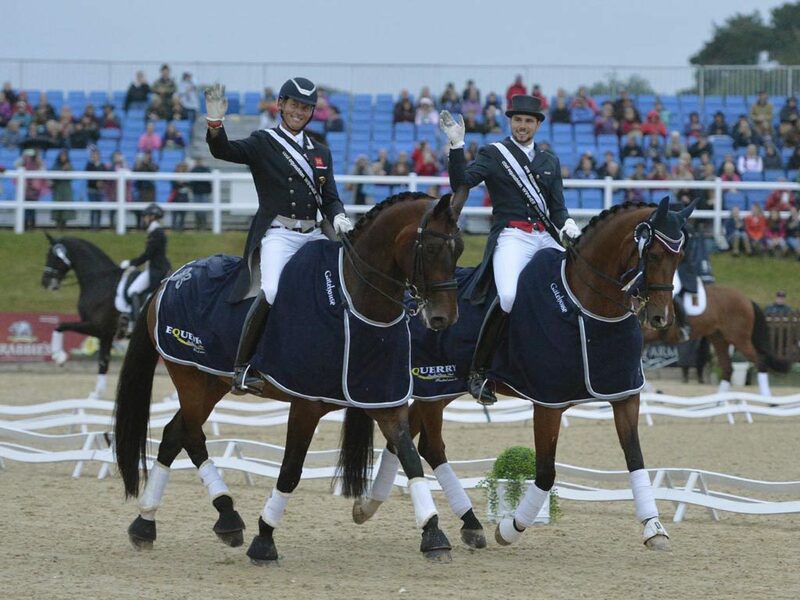 Great Britain’s Olympic dressage gold medallists thrilled a capacity crowd on the opening night of this year’s Bolesworth CSI **** International as they showcased their unique brand of magic. 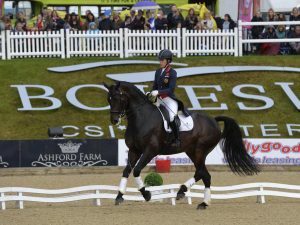 Reigning Olympic, World and European champion Charlotte Dujardin was joined by her London 2012 team-mates Carl Hester and Laura Tomlinson as the stars shone in the glorious grounds of Bolesworth Castle. Split into two sections – Inter Freestyle and Grand Prix Freestyle (both classes were sponsored by Cool Equestrian and Mount St John) – Bolesworth’s latest dressage spectacle proved to be another sparkling success. Dujardin, riding young prospect Hawtins Delicato, posted a score of 72.792% to finish second in the Inter Freestyle behind Charlie Hutton, whose established partner Super Blue triumphed on 75.417%, with Tomlinson and Dolceverdy O third (71.500%) and Matt Frost aboard AMD Don Havidoff fourth (66.125%). And there was a real treat for the audience when Hester and his prospective Rio Olympics ride Nip Tuck performed to the music being prepared for Brazil, as they claimed an emphatic Grand Prix Freestyle victory with a score of 81.917%. There was also a strong performance from Hayley Watson-Greaves, who finished second on Rubin Nite, while third place went to Emile Faurie and Bohemo Tinto and Richard Davison retired Don Bettino. Hester said: “I am really happy. That arena was spectacularly perfect in its footing and everything. It was well worth the trip. The horse needed the run, and that is only the second time I have ridden to that music. “He is the biggest horse, just over 18 hands, and he is very sharp in his mind. He is so fast-thinking. And Hutton was thrilled with Super Blue, adding: “He has been an amazing horse. He tries so hard, and what a great atmosphere here at Bolesworth. “Today is the last time I will be competing him at Small Tour level. I am hoping to move up to Middle Tour and Grand Prix, so it was a really special occasion.